Planning an international move is an incredibly complicated and daunting process, involving several parties and many tasks to accomplish. There will be one company that picks up your shipment (the origin agent), a freight forwarder that transports it to your destination country, and another company to receive it and deliver it to your new home (the destination agent). While it may seem overwhelming, it is essential to be knowledgeable and well-informed of the procedure to ensure your goods’ safe and timely arrival. How much experience/training do you have handling international moves? Though some companies will say they handle overseas moves, it is best to hire a company that specializes in international relocation. The more experience the company has conducting international moves and handling all of the tasks involved, the more likely it is that your move will be a success. Ask how many international moves they have performed in the past year for a better idea of how extensive their expertise is. Additionally, you want to ask how much experience they have handling moves to your destination country specifically. Who will come to give me my in-house estimate? Make sure the person assigned to visit your home, assess your goods and provide your estimate works for the moving company and is not simply a broker. A broker cannot give you a proper estimate and will not be liable should anything happen to your goods during shipping. An employee of the moving company will be better equipped to answer your questions about pricing, packing procedures and other details of your move. During your estimate, ask detailed questions about how you will be charged. International moves are typically calculated by the volume and weight of your goods, but there are many other charges involved. They may not be included in your written estimate, so be sure to inquire about them. Some of these costs include: destination port fees, terminal handling charges, custom fees/duties, crating charges, custom inspection charges, customs clearance, delivery-to-door charges, packing materials, and extra fees for oddly-shaped or unusually heavy items. What are your licensing credentials? 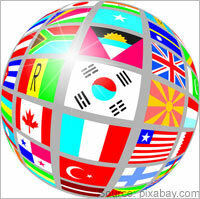 International movers are required to be licensed and registered to perform overseas relocations. The company should be registered with the Federal Maritime Commission and have a FMC number. This accreditation will ensure that the company is professional, reliable and subject to regulation. Other reputable certifications include membership with the Fédération Internationale des Déménageurs Internationaux (FIDI) and the Registered International Mover Certification (RIM) through the American Moving and Storage Association (AMSA). Will my goods be shipped directly? Find out if the freight forwarding company used to transport your goods will ship them directly to your destination or if they will change vessels at some point during the trip. The more your belongings are shifted, the more the risk of damage or loss will increase. Who is your overseas partner? While one company will be responsible for loading and transporting your goods to the nearest port for shipping, another will be at your destination country to pick up your shipment. This is referred to as a Destination Agent. When receiving your quote from the Origin Agent (the company that handles the pickup of your goods) you should find out more about the company that will be handling your shipment once it arrives so you can check their background and references and ask them any questions about the import duties and regulations in your destination country. Do you offer customs brokering? Most international movers offer this service, but some do not. A customs broker will take care of preparing your documents, calculating your taxes/duties, and making sure your shipment is cleared through customs. This can be a very complicated process, and professional assistance will help prevent you from making a costly mistake when importing your goods. Do I have to be present for my goods to clear customs? Some countries require the shipper (that's you) to be present for your goods to clear customs. This is an important detail to discuss with your movers when scheduling your delivery date. If you are unable to be there to receive your shipment, it will sit at the port pending customs clearance, racking up port storage fees. If you will need some of your goods stored when they arrive in your new country, ask if the company provides this service. Many international movers have warehouses where they can stow your belongings, but it may have to be booked in advance. Make sure you are also aware of the cost for this service before putting it in writing. Adequate insurance is imperative for your international relocation. Your goods will be traveling a very long way, so you want to be sure that they are properly protected. Ask about their insurance plan, but be prepared to pay more per pound than you would for a domestic move. Make sure you are aware of the extent of your coverage and the conditions for liability (for example, are you covered for belongings you packed yourself?). You will be glad you paid the extra expense should anything unfortunate happen to your goods during shipping. 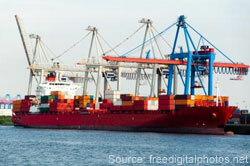 What Does the Federal Maritime Commission Regulate?